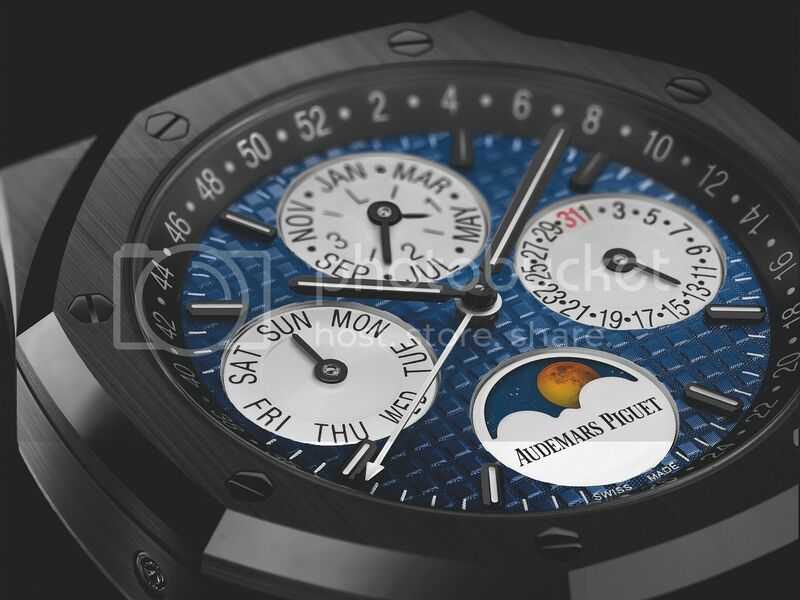 Audemars Piguet is proud to contribute to the international biennial Only Watch charity auction benefitting the "Monaco Association against Duchenne Muscular Dystrophy" that took place in Geneva on Saturday 11 November 2017 to help the AMM association raise funds and develop their research program. 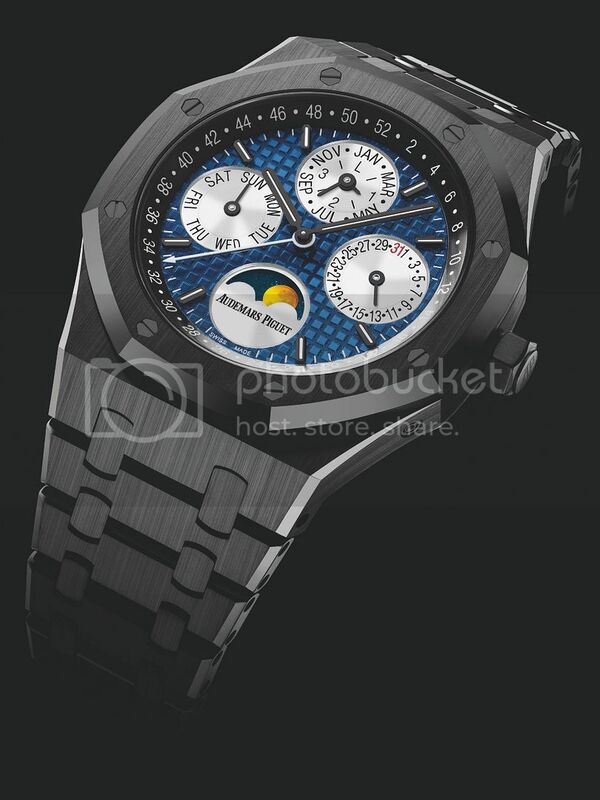 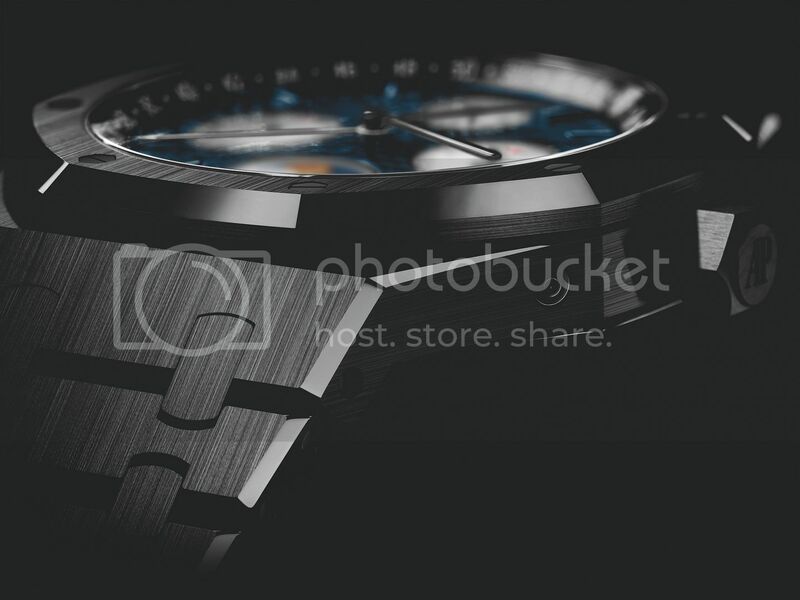 The Audemars Piguet Royal Oak Perpetual Calendar in black ceramic - Only Watch unique piece manufactured for the occasion evokes the last moments of light cast by the sun thanks to the 'skylight' blue Grande Tapisserie dial, polished counters in solid grey gold and orange-tinted photo realistic moon. 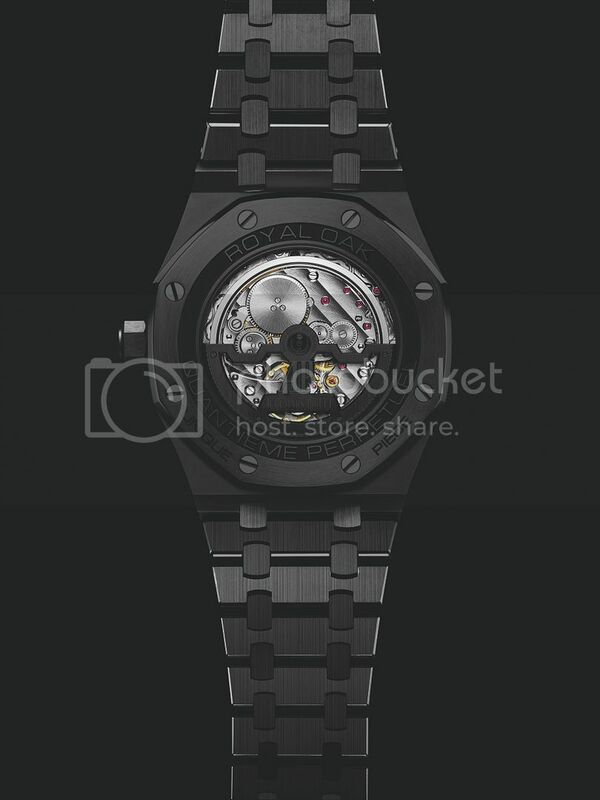 Juxtaposed against the entirely hand-finished black ceramic Royal Oak case, bezel and bracelet, the transition from the blue, orange and silver dusk to the pitch black of night is a powerful combination. 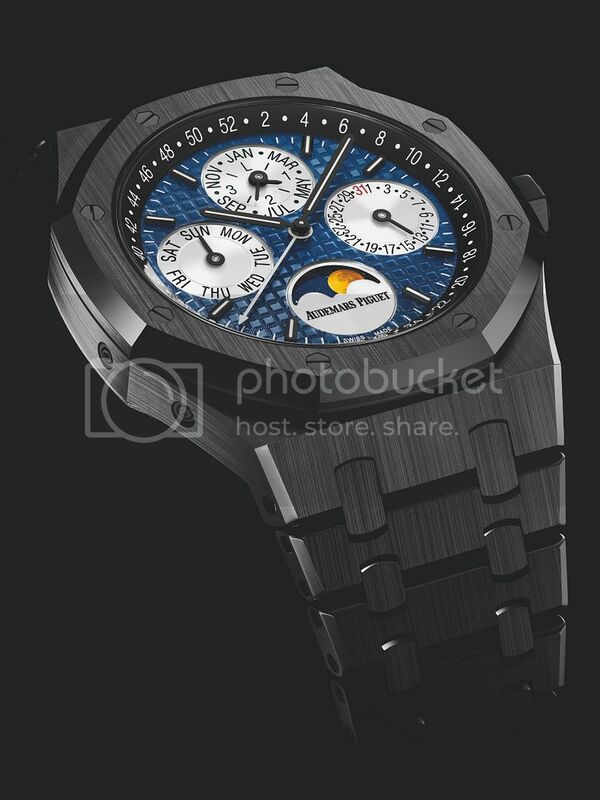 In addition to the unique dial, this Only Watch unique piece is the first black ceramic perpetual calendar wristwatch to feature a black ceramic caseback with sapphire display back revealing a unique hand-finished black oscillating mass.